This commentary is based on Dr. Truver’s remarks at the Future Strategy Forum 2016, Undersea Warfare panel, hosted by the Center for Naval Analyses, 5-6 December 2016. Looking backward, it usually comes as a surprise to learn that of the 19 U.S. Navy ships that have been seriously damaged or sunk by enemy action since the end of World War II, 15 – nearly 80 percent – were mine victims. 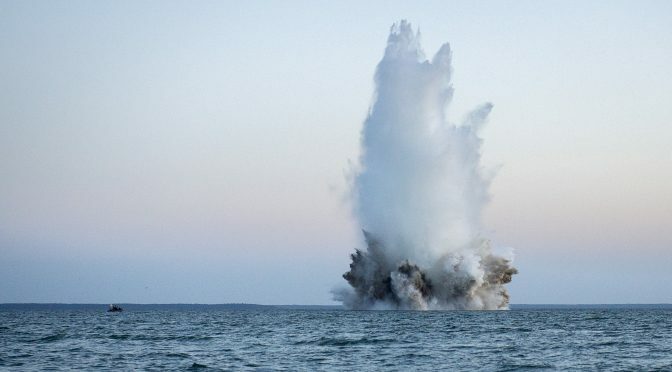 This vulnerability to mines has catalyzed the U.S. Navy to spend many hundreds of millions of dollars to counter a global threat that includes more than a million sea mines of more than 300 types in the inventories of more than 50 navies worldwide, not counting underwater IEDs that can be fashioned from virtually any container. More than 30 countries produce and more than 20 countries export mines. World-War I-era contact weapons bristling with “horns” can be as dangerous as highly sophisticated, computer-programmable, multi-influence mines that fire from the magnetic, acoustic, seismic, and pressure signatures of their victims. Ask Captain Paul Rinn, commanding officer of the frigate USS Samuel B. Roberts, how a mine designed in 1908 can ruin your day. Instead of discussing countermeasures to adversary weapons, this analysis is about our mines and mining in late 2016, how they might contribute to the Navy’s strategy, and where innovation might be leading us. Leaping over two centuries of U.S. Navy mine warfare history, during the Cold War, the Navy maintained a large stock of bottom mines for offense and defense. Several types of anti-submarine and anti-surface ship mines deployed by submarines and aircraft entered service in the 1950s and 1960s. Later, mine inventories included Mark 36/40/41 Destructor shallow-water general-purpose 500/1,000/2,000-pound bombs fitted with mine target detection devices; the Destructor mines first deployed in 1967 and saw wide employment at sea and on land during the Vietnam War – some 11,000 DSTs were laid along jungle trails. The Mark 60 deepwater CAPTOR – enCAPsulated TORpedo – that encapsulated Mark 46 torpedoes within mine cases entered service in 1976, intended to block the Greenland-Iceland-United Kingdom (GIUK) gap to Soviet submarines in the event that deterrence failed. This was soon followed by the Mark 67 submarine-launched mobile mine – SLMM – that entered service in 1983 and could be covertly laid in vital areas. But with the end of the Cold War, the Navy’s mine capabilities began to atrophy. Today, no conventional mines remain in service, the CAPTORs have been retired, and at one point the Navy had programmed the remaining obsolescent SLMMs to be phased out in 2012. Had that been carried out, our attack submarines would have had no mining capability at all. As it was, only direct intercession by CNO Admiral Greenert saved a handful of SLMMs until something better comes along, if it ever does given competing submarine missions and tasks. The only other mines in service in 2016 are the Quickstrike series of aircraft-deployed, general-purpose-bomb-converted Mark 62 500- and Mark 63 1,000-pound weapons (in service since 1980), and the dedicated, thin-wall Mark 65 2,300-pound bottom mine (in service since 1983). Remarkably, the Navy has not introduced a new mine in almost 35 years, but not without the mine warfare community trying. Various concepts for littoral sea mines were suggested in the 1990s and early 2000s – one had the U.S. Navy collaborating with the Royal Navy, and the U.S. submarine force looked into a dual-purpose convertible Mark 48 heavyweight torpedo/mine – but these were ultimately not pursued. Even upgrades to existing mines proved to be a hard sell. Work on the “next-generation” computer-programmable Mark 71 target detection device for the Quickstrikes began in 1991, but initial procurement began more than two decades later. Other priorities competed for attention and scarce resources. 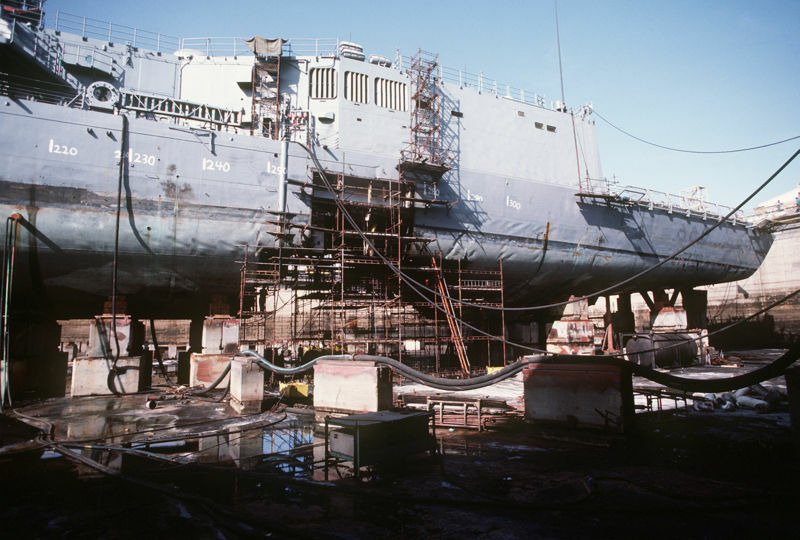 That is revealed by Navy budgets since the fall of the Berlin Wall: on average less than one percent of Navy Total Obligational Authority has been spent on MIW, total, and the author believes mine programs get maybe five percent of that. Even if resources could be found, however, the availability of aircraft, airborne tankers, and defensive escorts for mining campaigns is uncertain. There will certainly be intense competition for such aircraft in future crises and conflicts. The 1991 Gulf War was the last time that the Navy deployed mines in combat. Four A-6 Intruders planted a tactical minefield of Quickstrikes at the mouth of the Kwahr az-Zubayr River to deny Iraqi access to the northern Gulf. One aircraft was lost to ground fire, and there were no indications that the mines actually sank or damaged any vessel. Aircraft-deployed Quickstrikes have less-than-optimal accuracy, even less precision, and are best deployed in less-than-contested environments and at dangerously low altitudes. Innovation in mines and mining directly addresses these operational challenges. 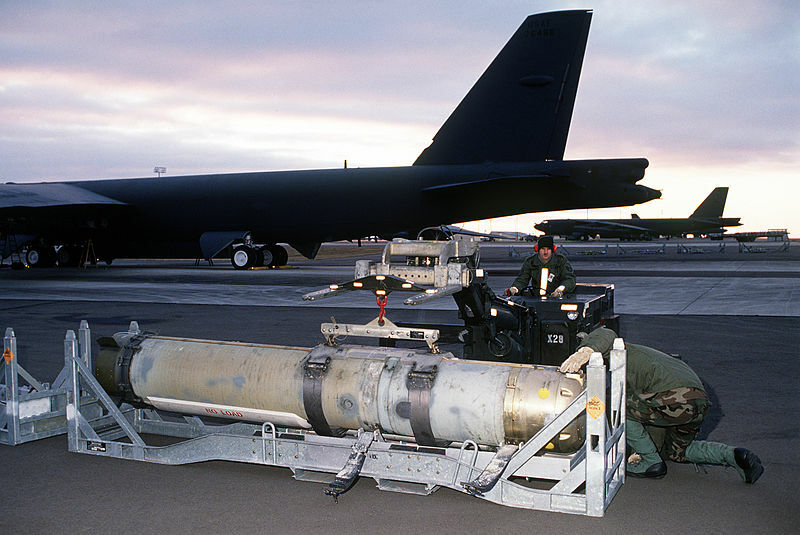 In September 2014, U.S. Pacific Command (PACOM) demonstrated an extended-range Quickstrike-ER – a modification of the 500-pound winged Joint Direct-Attack Munition (JDAM-ER) – dropped from an Air Force B-52H bomber at 35,000 feet. According to Air Force Colonel Mike Pietrucha speaking at the Mine Warfare Association seminar in November 2016, this was the first-ever deployment of a precision, standoff aerial mine. A subsequent effort among PACOM, the Navy, and the Air Force successfully tested a 2,000-pound Quickstrike-J deployed by a B-52H. The takeaway from these tests is that any pilot trained for and any aircraft equipped to drop the JDAM can be a mine-layer, not just once, but many times. And, in the case of USAF bombers – our only high-volume mine layers – an entire minefield can be laid in a single pass without directly overflying the minefield. 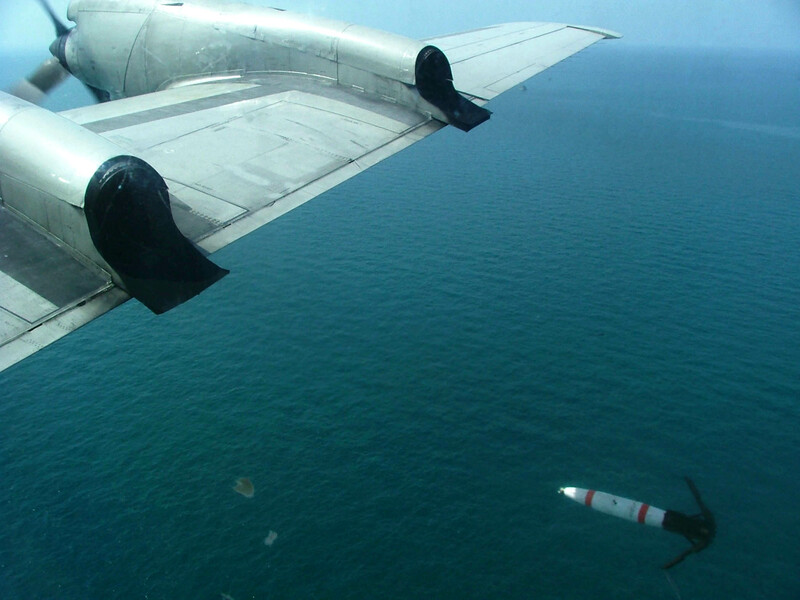 Important for a Navy warfare area that sees its weapons and systems delivery stalled, Pietrucha noted, “Both variants are assembled entirely out of components already in the U.S. inventory, making these weapons possible without a protracted acquisition process.” The JDAM conversion kit costs about $20,000. Looking farther into the future, boffins at the Office of Naval Research (ONR) and the Navy’s Surface Warfare Center, Panama City (NSWC-PC) are working on several innovative advanced undersea warfare systems (AUWS) that can be delivered by unmanned surface or submarine vehicles. In October 2014, Admiral James Winnefeld, Vice Chairman of the Joint Chiefs of Staff, visited Panama City to learn more about remote-controllable “smart mine” innovations. In January 2015, he accompanied Deputy Secretary of Defense Robert Work to explore how future smart mines could contribute to the Third Offset Strategy. Responding to such high-level DoD interest and a mining joint emergent operational need statement, investment in AUWS and something called the Modular Undersea Effectors System – MUSE – is ramping up. Panama City’s MUSE envisions innovative mining using “encapsulated effectors” to carry out important tasks, in addition to mining. The concept sees forward-deployed ­– on the seabed in international ocean space, much like SOSUS or CAPTORs – unmanned stationary nodes for remote or autonomous unmanned air/surface/undersea/seabed vehicles (UxVs) to populate the “encapsulated effectors.” These “effectors” include mines, torpedoes, missiles, decoys, jammers, communication nodes, electronic warfare payloads –virtually anything that can be packaged in UxVs and launched from seabed encapsulation nodes. According to Panama City engineers, MUSE will be an “integral element of the kill web, offering distributed, forward, persistent, autonomous lethal and non-lethal undersea/seabed scalable effects across all phases of operations.” An encapsulated effector can achieve two orders of magnitude increase in effective range compared to Quickstrikes and SLMMs, greatly reducing the sortie burden on aircraft, submarines, or large UxVs. Perhaps with strong support and such asymmetric innovations as the extended-range JDAM-guided Quickstrike mines and MUSE, the U.S. Navy will enjoy “a decided superiority” over our adversaries – whether our mines are show stoppers or just speed bumps in future conflicts. Scott Truver is a senior advisor to CNA and directs Gryphon Technologies’ TeamBlue national security programs.